The Fizz is a big fan of the fragrant home. From fresh floral scents in summer to warm spices and amber in winter, the right home fragrance lifts your spirits the moment you open the door. The ubiquitous scented candle has become the go-to purchase in recent years. Every major fashion house and perfume brand has a collection of seductive scents to tempt you. The high street is also in on the game offering budget options along with that other mainstay of home fragrance the reed diffuser. Incense sticks, however, seem to have dropped off the radar altogether but we think their return is long overdue. They can be left burning without the risk of setting fire to soft furnishings and, unlike candles, don’t leave a residue of soot on the ceiling. Their fragrance packs a mighty punch and is stronger than that from reed diffusers which have to be inverted when their scent grows weak. Previous hippy associations may once have made them deeply unhip but now the beau monde is seeking out decidedly more upmarket versions to scent their design-savvy homes. 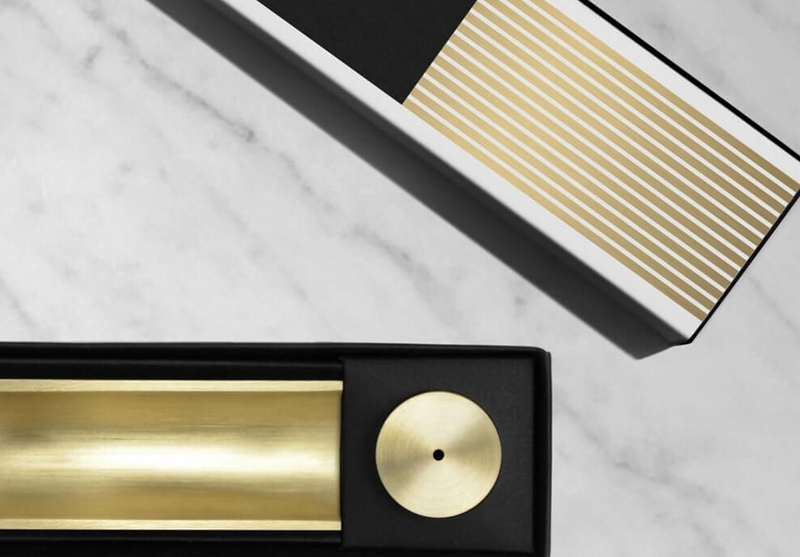 Smart incense sticks are harder to find than candles and diffusers so we’ve tracked down five of the best to buy right now. 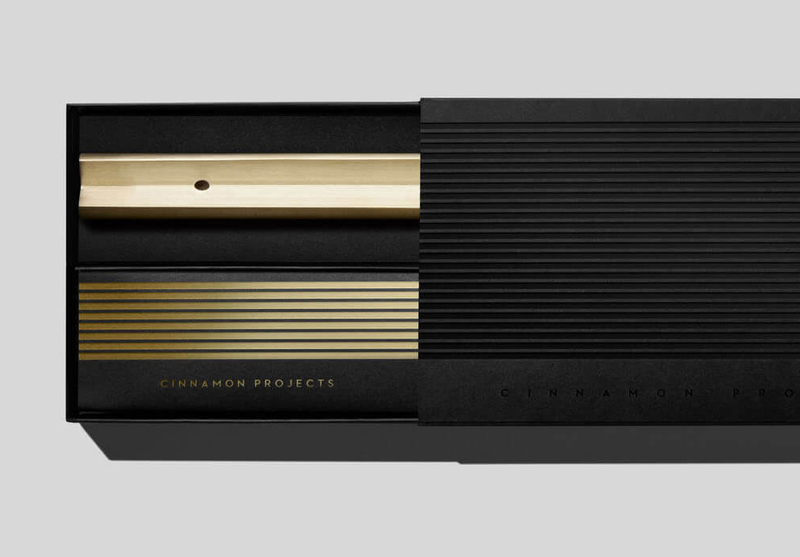 New York-based Cinnamon Projects is the brainchild of Andrew Cinnamon and Charlie Stackhouse, whose cutting-edge incense sets using solid brass and semi-precious stones take luxe to a new level. Fittingly for the city that never sleeps, its five fragrances are named after different hours of the day starting at ‘7am’ with meditative black tea, clay, driftwood and marigold through to ‘2am’ with wafts of decadent cedarwood, cinnamon, honey and vetiver. New scent 'You Are Here' is an intoxicating blend of clay, immortelle, patchouli, rose, musk and sandalwood. The elegant Japanese-style incense sticks burn for 25 minutes each. Iconic Milanese design atelier Fornasetti is a firm Fizz favourite. Its home fragrance arm Fornasetti Profumi is responsible for a wide range of stylish home scents all presented in beautifully designed ceramic holders. Two incense fragrances are available, each with its own set of handcrafted wooden boxes with decorated ceramic lids. ‘Otto’ is Fornasetti’s signature scent redolent with Mediterranean herbs and woody undertones. Created by master perfumer Olivier Polge, it is grand and sophisticated yet immediately relaxing. ‘Flora di Fornasetti’ is a white floral bouquet inspired by the gardens around the family house in Milan and the floral illustrations of Piero Fornasetti. Created by Emmanuel Philip, its pretty notes of jasmine, lily of the valley and tuberose are perfect for hazy summer days. Founded by Benoît Astier de Villatte and Ivan Pericoli in 1996, French homewares brand Astier de Villatte is best known for its 18th and 19th century-inspired handmade range of ceramics and glassware produced in an antique Bastille workshop in Paris. A collaboration in 2008 with Japanese fragrance company Takasago saw it branch out into the world of perfume, scented candles and incense. The newest incense fragrance ‘Awaji’ blends jasmine, resin, driftwood and immortelle resulting in a welcoming sweet woody scent. Created by Nathalie Feisthauer and made on the Japanese island of Awaji, it joins Astier de Villatte’s existing collection of 12 incense aromas, all discreetly packaged in its distinctive illustrated blue and cream boxes. High-end British bathroom retailer Czech & Speake is one of London’s smartest retail brands. Established in 1980 in Jermyn Street by Frank Sawkins, its name is synonymous with quality and timeless English style. Its incense collections capture two of Czech & Speake's most popular fragrances. 'No.88', Czech & Speake’s signature scent, has notes of bergamot, geranium, rose otto, vetiver and sandalwood while ‘Frankincense and Myrrh’ has exotic oriental ingredients including warm frankincense and tangy myrrh coupled with orange, lemon and basil. Both scents are available in kits and as giant sticks for outdoor use. TOP: Incense stick kits, including 80 sticks and bone china holder, from £105. Refill packs of 20 sticks, £25 each. ABOVE: 'Giant Outdoor Incense Sticks', £35 for 12 sticks. Leftfield Japanese fashion house Commes des Garçons has always been the must-have brand for fashionistas looking for something off the beaten track and its range of perfumes has been as offbeat as its fashion.